3. 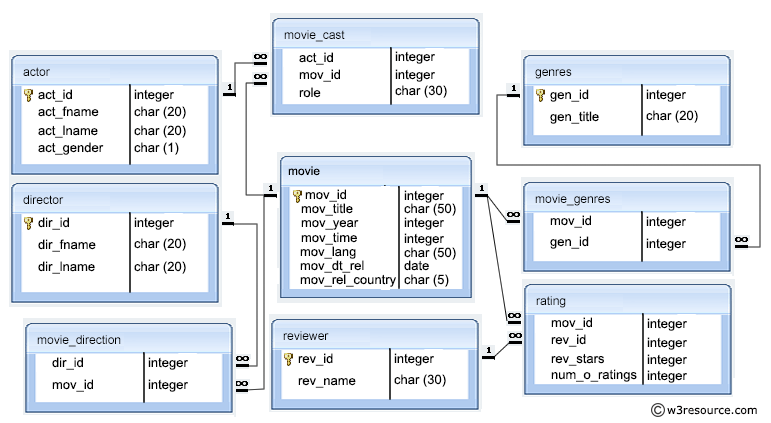 Write a query in SQL to list all the movies which released in the country other than UK. Previous: Write a query in SQL to find the name of the director (first and last names) who directed a movie that casted a role for 'Eyes Wide Shut'. Next: Write a query in SQL to find the movie title, year, date of release, director and actor for those movies which reviewer is unknown.